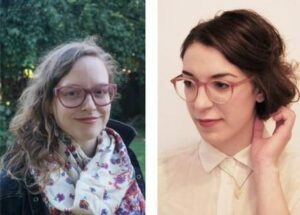 Elora Centre for the Arts — We are pleased to announce that Alison Cooley and Natasha Chaykowski have been awarded the Elora Centre for the Arts’ second annual Middlebrook Prize for Young Canadian Curators. Their proposal, entitled “I’m Feeling Lucky”, was selected by a panel of three judges and seeks to query Google’s capacity as a curatorial tool. “We wanted to know: can an exhibition be curated using Google search?” Cooley and Chaykowski wrote in their exhibition proposal. “And if so, what are the implications regarding knowledge formation, taste-making, and other conceptual pillars of curatorial practice?” They see the exhibition as both examining history and collective memory, and as an exercise in questioning curatorial authority. The title, “I’m Feeling Lucky,” is a wry reference to the now-extinct gamble option on the Google search page. Using a formulaic combination of key words, based upon things like region, medium and the overarching theme of memory and knowledge, the curators identified a number of artists; what remains most compelling about the results are the intricate and surprising connections among the arbitrary selection of works. Both Cooley and Chaykowski are recent Master of Arts graduates who’ve worked as curators, editors and writers, while conducting independent and scholarly research. In its second year, the Middlebrook Prize for Young Canadian Curators was set up to challenge and encourage young curators by offering entrants a chance to create an innovative exhibition at the Elora Centre for the Arts. A unique prize in the Canadian art world, the Middlebrook is funded by the Centre Wellington Community Foundation’s Middlebrook Social Innovation Fund. The Elora Centre for the Arts sincerely thanks the Middlebrook Social Innovation Fund at the Centre Wellington Community Foundation for their support and dedication to contemporary artistic practice. “I’m Feeling Lucky” will be exhibited in the Minarovich Gallery, October 11 to December 1, 2014. The opening reception will be held Saturday, October 11 between 2pm and 4pm.